Hands-on Constellations Activity Kids Will Love! 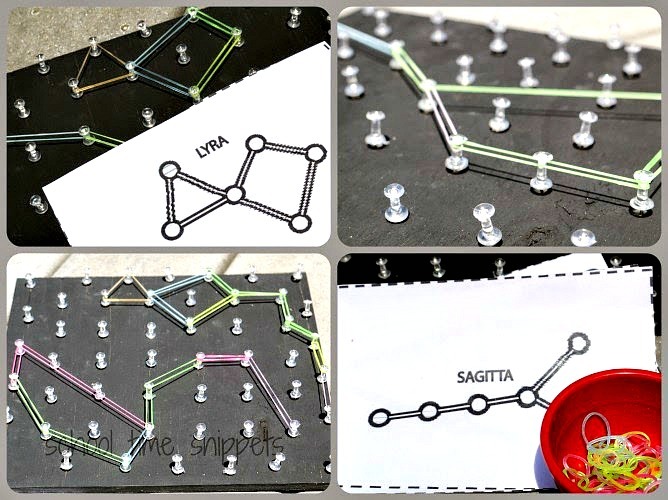 Help your child recognize major constellations by making them on a geoboard! This hands-on constellations activity is sure to be a hit with kids of all ages! Ready to teach your little (or not so little) ones about the stars? Help your children move beyond knowing of the stars, to teaching the constellations that make up our solar system. This fun, hands-on astronomy activity for kids will have them learning about the constellations while building them on a geoboard! So if you have several children, you may have realized my error thinking that one tiny little geoboard and four hands would not work very well. Ha! I though wrong, and yes... what we needed was a larger geoboard. And I was on the quest to make one! Now, why did I need a larger geoboard at that very moment? To make a long story short, I have been reading Fancy Nancy: Stellar Stargazer to my daughter at bedtime that past week and had the creative idea that it would be fun to learn the constellations... yet again! And it needed to be on a geoboard! Yes, I have been a bit obsessed with constellations. Regardless, though, constellations are just plain fun to learn about!! I figured learning about constellations on the geoboard would be something we haven't done before! And it would also great way to sneak in fine motor skills. Circling back to the issue noted above, I had to come up with a way to make a large enough geoboard! While wondering what I could do without spending a lot of money, I came across And Next Comes L's Homemade Geoboard and it was perfect timing-- I had exactly everything I needed to make it, so in a way, it was "free", right?! And free is way better than $$$! With a wooden board from our garage, black spray paint, push-pins, and a hammer I made our own DIY Geoboard! With our homemade geobard ready to go, I gathered a few more materials for this fun, hands-on constellations activity. First, I printed out some Constellation Cards. I laminated them for durability and to possibly be re-used in the future. Next, I grabbed a handful of Loom Bands from my son's stash. With printed constellation cards and loom bands, choose a constellation to build on the geoboard. Look for any noticeable shapes. Count how many points make up the constellation. To recreate the constellation with loom bands, start at one point and stretch the loom band to create the next point... and so on. Know that a constellation is a fancy word for a group of stars into a recognizable and imaginary pattern. These patterns help us identify individual stars. Think of constellations as a giant game of connect-the-dots! That is what you are going to do for this constellations activity.. connecting the dots! For example, the Lyra constellation we can see that it is made up of a triangle and a trapezoid shape. We first made a triangle using one loom band, and then formed a connecting trapezoid from the bottom right angle. Continue building constellations on the geoboard. You may find that our mistake was building too small of a geoboard! This was such a fun and creative way to teach my kids about the stars! Enjoy! 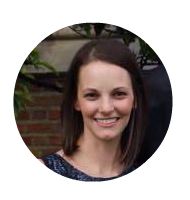 ?This activity will appeal to all types of learners! Visual learners will enjoy being able to see the form of the constellations and find the connections between the points. 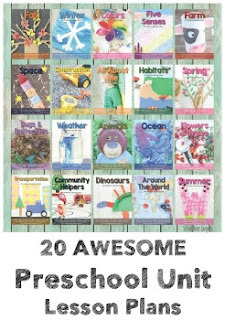 Add in a few books to learn various facts, and your child will be a constellation whiz! Kinesthetic and tactile learners will appreciate being able to touch and feel as they learn!